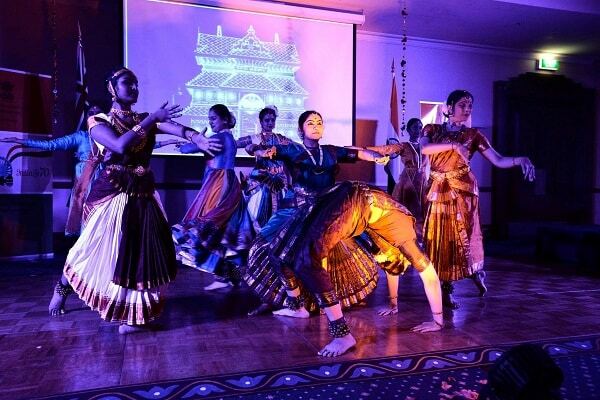 Independence Day celebrations, held recently by the Indian Consulate in Melbourne, provided an opportunity to reflect on India’s success in the last 70 years. It was also a chance to look ahead at the future bilateral relationships and flourishing ties between India and Australia. Representatives of the two countries renewed their commitment to work together in tackling the global challenges faced by them including issues of peace and security. The Prime Minister Malcolm Turnbull sent a message to congratulate India on the 71st year of its Independence. 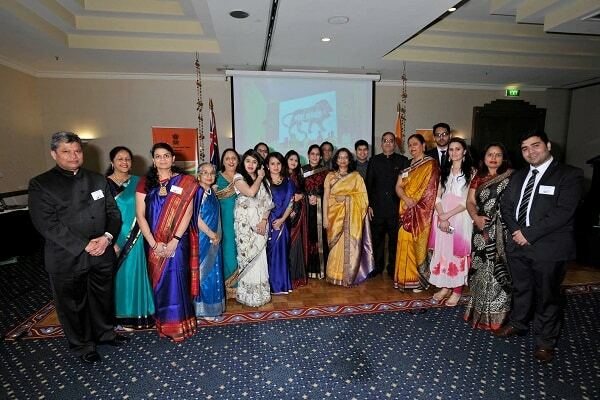 He also thanked the Indian diaspora for their contributions to Australia’s national fabric. Rakesh Malhotra Vice Consul and Head of Chancery conveyed the PM’s message at a National Day reception held at Hotel Bayview Eden recently. “Today relations between India and Australia have never been stronger. We work closely to support our shared interest in a stable and prosperous Indo Pacific region. The Indian community in Australia is an important part of our strong and enduring ties helping to build even closer bonds between our nations”, read the PM’s message. 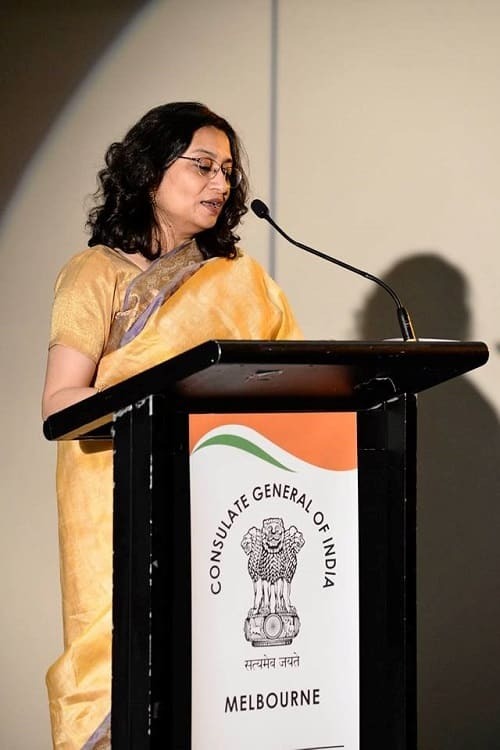 Manika Jain, Consul General of India In Melbourne spoke about the collaborations between India and Australia highlighting mutual agreements on education, health, culture and joint research programs. 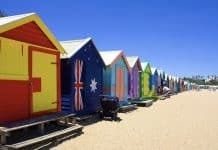 “To make the relationship between Australia and India more resilient and economically beneficial for our two people, it should diversify further and be more broad based. 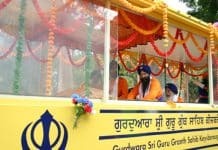 This, I think, is only possible if we invest in our institutions for meaningful study and understanding of each others’ history, civilisation, economy, evolution and modern society,” said the Indian Consul. The audience also heard briefly from Robin Scott (Minister for Multicultural Affairs) and David Hodgett (Deputy Leader of Opposition) representing Opposition Leader Matthew Guy. Both leaders recognised that there is significant potential for further cooperation between the two countries due to the many complementarities between the two economies. Finger food and drinks were provided generously at the well-organised reception. 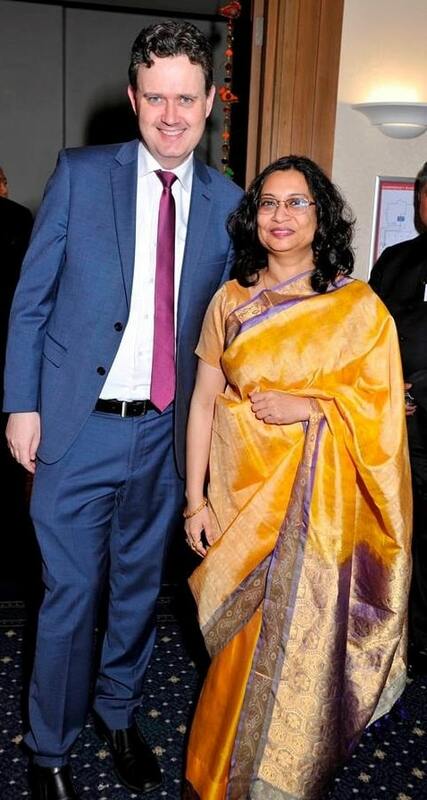 Consulate staff were at their hospitable best as they mingled amongst the guests making sure that everyone was well looked after. 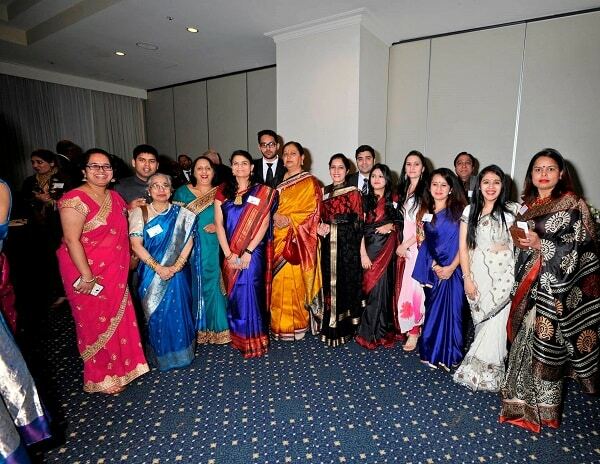 CG Manika Jain welcomed every guest as they arrived at the elegant venue. Prabhat Sangwan from Media, Culture and Education sector of the consulate, as the MC for the evening, ensured that everything went smoothly during the formal event. The show stealer for the evening was a beautifully choreographed dance segment titled Mangalyaan based on India’s successful mission to Mars. Creatively put together by renowned dancer Tara Rajkumar OAM the spectacular performance was an interesting fusion of science and art. 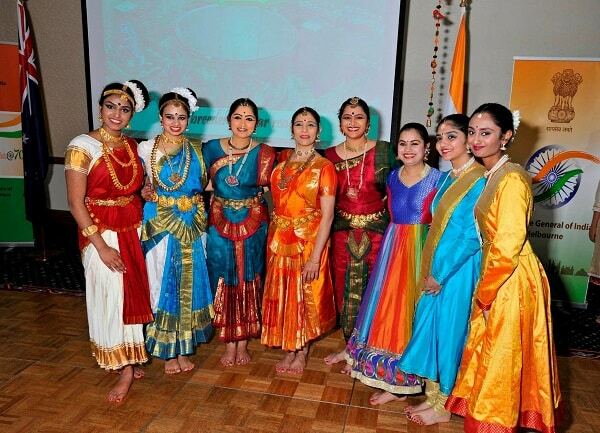 The dancers portrayed the famous flight through gracefully fluid movements combining different genres of Indian classical dances like Bharatnatyam, Mohiniattam and Kathak. Earlier that morning an official flag hoisting ceremony had taken place at the Consulate attended by a diverse group of people from the community. In continuation of the patriotic theme the Indian Consulate building on St Kilda Road was also illuminated in tricolour splendour – saffron, white and green – to mark the day India gained liberation from colonial rule.